Kamla: This is Kamla Bhatt. Today my guest is Mitchell Baker, who is Chairperson of Mozilla Foundation and Mozilla Corporation. 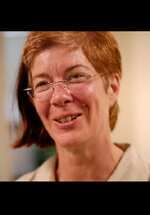 She is a lawyer turned tech evangelist who helped set up Netscape’s legal department in the early 1990s. Netscape launched the internet revolution and was the harbinger of the dot com boom that made those three letters “IPO" world famous. About ten years ago, Mitchell helped found the Mozilla Foundation; a non-profit organization. In 2004, Mozilla launched its Firefox browser and the rest is history. The Economists described Firefox’s tale as a curious one and we are here to find out more about this curious tale from Mitchell. Welcome to the show. Mitchell: Thanks. It’s great to be here. Kamla: What is the curious tale? Mitchell: The curious tale of Mozilla? 0921dff4-b3b4-11dd-91fe-000b5dabf613.flvMozilla is the tale of something everyone knew could never happen. A few things happened in the early 90s after Netscape’s great success, Microsoft appeared on the scene, Microsoft had its own browser. Eventually, through a series of activities that that browser controlled-something like 97% meaning that 97 out of every 100 people who ever accessed the Internet always did it through one single means. And so Microsoft had the view that the browser was irrelevant, it was part of the Operating System. It didn’t matter, further development on it didn’t matter. They disbanded their team and the experience got worse and worse. If you think back to the say 2000, 2001 what it was like to use a browser with pop up ads, and spyware and machine slowing down and people being forced to get rid of their old machines and buying new ones to sort of start over. That was a direct effect of the poor quality of the browser. And that in turn, was a direct effect of only having one and no competition. But at the same time, everyone knew it was impossible to compete with Microsoft in this space and so it was left to Mozilla, the open source small, scraggly child that no one really wanted except a few of us that were involved and no one thought it would ever succeed to take and fight this critical battle. Because it turns out that the browser is not irrelevant, it is the part that each one of us as a human being touches. It is the tool that we, as human beings have to access the internet and so it is not irrelevant, it is fundamental. If you control that tool, you can either open up more aspects of the Internet or you can close them off. And even if you’re not malevolent, the simple lack of competition can cause this to deteriorate, as we saw. And so at Mozilla, we persevered, not because it was a good market to be in, no one chooses to enter a space where Microsoft has monopoly as an economic, competitive, smart move but we did it because it had to be done. We could see it. We had enough experience with browsers through our Netscape days to see that it had to happen. It had to happen to keep the Internet open. It had to happen so that our own personal online experience is positive. And it had to happen to encourage innovation, to encourage the kind of wild innovation that we’ve seen in the last few years of user experience. Because in the period when there was only one browser and it was decrepit and it wasn’t being maintained, there was great deal of innovation on the server side and the infrastructure side of the web but not on the side that you and I as individual human beings could see and touch and experience. And so Firefox was launched in 2004, Web 2.0 picked up steam; we don’t take credit for Web 2.0 but we do and others will tell you that Firefox was a part of that by providing a good tool for web developers and programmers with flexibility and openness and room to innovate that we played our part in bringing the Web 2.0 revolution to bear fruit. And also, clearly for individual user experience the difference between Firefox and the other options that were available has been dramatic. Kamla: What is your definition of a browser? Mitchell: Oh that’s a great question! The browser has a couple of different definitions. At its most basic, I would say the browser is the piece of software that knows how to talk to a server so it knows how to speak as machines speak on one side and get content from web services servers and display them for the user. That’s most basic. In addition, browsers let people interact with that content. So, as a display and interaction mechanism that sits between the machine side of the internet and the human being. Today we understand browsers in a certain form; back button, forward button, home. And that’s been true for quite some time and I think that will start to change slowly. I believe these will still be browsers though. Browsing is not a great word for it, at least in English because we don’t browse the web so much anymore; we create the web, we create content, and we look at photos. And so the name will become less and less relevant. But that piece of software that allows me as a human being that displays for me the content that lives on the internet and lets me interact with it. Kamla: So, what do you have to say to those people who say that the browser is going to become the OS-the Operating System? Mitchell: There’s two levels to that question- one is the most technical level of what actually interacts with the various hardware pieces and for that re-building the hardware interaction is a long, tough job so I don’t see browsers taking on all of that. But the idea that the browser is the central point that users think about, for what defines my internet experience; the browser’s becoming that and the browser may be the central piece of software for you. Your apps, if they are web applications, then the browser will be the piece that you touch in order to make them work. So, instead of going to your C drive or whatever it is that people do when they think about the Operating System, you start your browser and you manipulate your browser to get what you want. And that I think is definitely coming. Now browsers still sit on top of a classic operating system so using Firefox on Linux is different than on Windows or Macintosh, not because Firefox is different but because the underlying hardware has different capabilities. So the operating system hasn’t gone away. But browsers are becoming, not technically not the operating systems but I think what people mean for web developers creating web applications; those people also now think more about a browser than just the Operating System. So if you’re trying to create, pick an application whether it’s a photo sharing application or social networking site or a mapping site, in many cases the question is, does it work on the browser? And so what’s really important to think about as the so-called platform that you used to build on is the browser. So I think when people say the browser is becoming the operating system, they mean more and more like an Operating System in its intellectual importance. Kamla: What about Google’s Chrome? They just released it and that’s a browser. Is that an OS or is it a browser? Mitchell: Chrome is a browser. There’s been a great deal of press about Chrome as an Operating System. Now Chrome has certain capabilities and manages certain functions that are more common in operating systems. And so it may pick up or probably it does pick up certain functions that one would normally think of in an operating system but there is still- that is maybe one or two pieces out of say a thousand so Chrome is a browser, with some interesting new capabilities. You know, whether those are the capabilities everyone would want we’ll see, but certainly interesting. Kamla: Let me switch back to Mozilla for a minute. What is Mozilla’s manifesto and what are you trying to achieve through Mozilla? Mitchell: Mozilla is at heart, an international public benefit organization. We are organized both legally and in our social covenants with each other to create public benefit and to build the Internet that is open and accessible and truly global and allows innovation across cultures and across a multitude of different business models and different companies. So the manifesto expresses that mission or that set of values. We understand that the creation of private economic wealth is a gigantic driver and improving internet life and life in general. We believe that for the internet to be healthy, as a piece of public infrastructure, it needs a complimentary voice and that is us. And that complimentary voice is the one that builds portions of the internet for individual benefit or civic benefit or for the benefit of society or public benefit. We are technically legally a non-profit organization. That means that all of the value that we create is owned by the public and cannot be distributed among or to private persons as you would with shareholders. And so that’s the legal mechanism that re-enforces the Internet as public infrastructure. Kamla: But you also have the Mozilla licence which is different than the BSD licence and the copyright licence. Can you explain to us what was the reasoning behind writing a special licence for your software? Mitchell: The Mozilla public licence was written in 1998; only ten years. When we wrote the Mozilla public licence, we looked at the existing licenses and we looked at the GPL on one side and the BSD style licenses on the other side. And finally decided that neither was appropriate for what we’re trying to do. Mozilla has always been explicitly about the combination of open source development methodologies with participation of commercial enterprises. That we’re used to today but in 1998, that was unheard of. So we wrote the Mozilla public licence because we felt especially at the time that the GPL was not something that commercial enterprises would adopt. I think that was correct and I think it’s still true today for the kinds of technology that we have. We looked at the BSD licence and thought about it but received advise that people-this will sound odd today - but that people wouldn’t trust us. Remember this was ten years ago, it was Netscape releasing the code. I don’t think that there had ever been another commercial enterprise releasing code of that size and importance in term of open source project. We see it a lot today and forget that just ten years ago, it was totally unheard of. And so, many people were very suspicious that it was not true. Or that Netscape was going to do this and trick everyone in the end. Netscape was going to build a lot of value and community and then end up controlling it all themselves. So the advice that we got from the open source community was that if we used the BSD license, it would allow Netscape to do just that. It would allow Netscape to build a community of people who made lots of contributions and then Netscape could gather all those contributions and make them private, and go back off and sort of-not technically, legally steal but emotionally and morally steal all these contributions and so we wrote a licence that didn’t allow Netscape to do that. That fit with open source and still allowed commercial organizations to participate comfortably. Kamla: So at the crux –what is the difference between BSD and Mozilla license? So, if I was to develop something using your code..
Mitchell: The difference is that if you start with Mozilla code and you modify that code, your modifications to that code must be publicly available under the Mozilla license. You’re then free to take the Mozilla code and your modifications and to combine that with proprietary code and keep your proprietary code proprietary and do whatever you want with it and create a product. So you’re absolutely free to make that combination which the GPL doesn’t allow. And you can make that combination and keep it a secret and do whatever product license you think is important to you. So you’re free to make those combinations but the actual changes to our code, you must make public. And the BSD license doesn’t require any of that. Kamla: Okay. So you’re not stopping any kind of innovation from taking place and monetizing…people monetizing it? Mitchell: Absolutely not! That was the key to Netscape that was different in 1998, making sure that Mozilla was an open source project that commercial entities could use as part of their work and then go off and build products and try to generate revenue. Kamla: Do you have any idea how much revenue may have been generated from your code by private entities? The question did not make sense? It’s an interesting question and in fact, it will be a very interesting question to do that because when we think about the internet and the openness of the TCP/IP protocol on which everything is built and the openness of the sendmail, the core functionality of the internet being open and then the value that’s been built on top of that-it’ll be very interesting number to see what open source software has created and overall value. Kamla: You were listening to Mitchell Baker who is the Chairperson of Mozilla Foundation and Mozilla Corporation. Tune back in for part 2 of our conversation where she talks about Mozilla’s relationship with Google and the success of Firefox. This is Kamla Bhatt. This interview was brought to you in association with Live Mint Radio. And as always, thank you for tuning in.